As disturbing as it may be to see beer bottles out in the wild…they just might help you survive in an emergency. 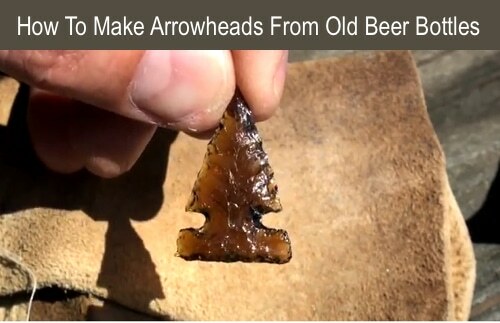 It is possible to fashion an arrowhead out of a beer bottle using found tools and stones. In this well produced video, watch and learn as the bottle is cleverly broken and the bottom is crafted into a sharp point. Step by step instructions guide you in making your own hunting tool and perhaps you’ll think of other uses for the remaining glass.